We are an open grassroots civic movement against coal mining and coal burning. We bring together individuals from both activist and non-activist groups around the Czech republic. 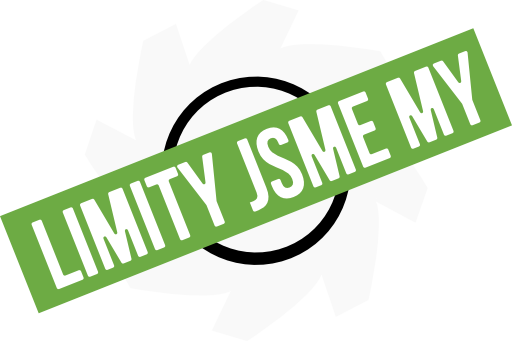 We were created in 2015 in the wake of a governmental proposal to break the brown coal mining limits in Northern Bohemia, which would mean, in its worst form, demolition of towns of Horní Jiřetín and Černice. During the 2015 campaign for keeping the mining limits, we organized together with thousands of people around the country and stood against breaking the coal mining limits in the Bílina mine and ČSA in Northern Bohemia. The continuing mining and coal burning is not only a threat to people’s homes and health in Northern Bohemia at the moment. They are also one of the imminent causes of the global climate change. The urgency of the climate change is serious to such extent where it’s impossible to be satisfied with the limits leading to end the coal mining in the Czech republic as far as 2055. This is why the movement Limity jsme my joins the global struggle to a responsible solution for climate change and the future without the unclean fossil fuels. It will employ pressure for an immediate end of the coal mining in the Czech republic and a transformation to renewable energy sources. We stood against breaking the coal mining limits in the Bílina mine and Northern Bohemia, along with thousands of people from all around the country. The first public event, dedicated to memory of the Northern Bohemia towns demolished for the coal mining, was held in February in 2015. There were memorials held in fourteen different places in the country and the message was clear: We are against the brown coal mining limits breaking and the further expanding of the coal industry. Same year in June we continued with the protests in more than twenty places which were joined by more than a thousand people. The protests were supported by our allies in Germany, Belgium, Finland or Brazil. Furthermore, we held a manifestation in front of house belonging to one of the owners of the region’s coal mines (owner of Severní energetická, Northern energetics, Jan Dienstl), where we played the sound of the excavator in front his residence’s gates. We organized a similar manifestation during the tripartite negotiations. 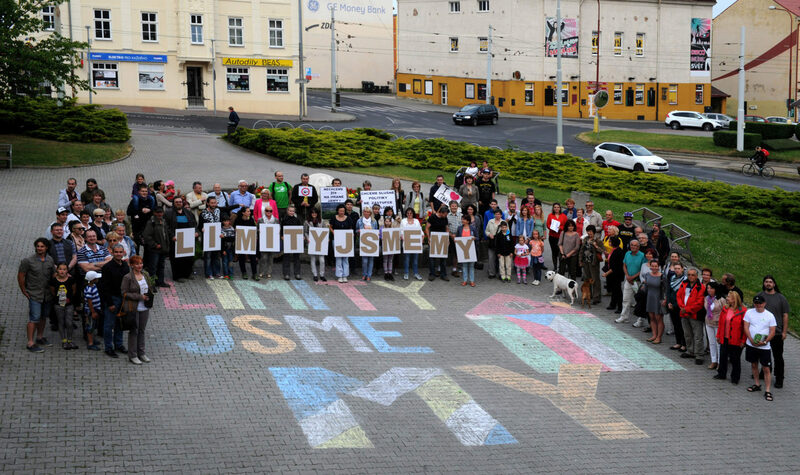 In the petition, collected between February and September 2015, more than three thousand people vowed to protect Horní Jiřetín from demolition in case of breaking the mining limits. We submitted the petition to the government. The campaign reached its peak in the form of the demonstration during the governmental meeting in the Ústí region, where the government decided to partially break the mining limits in Bílina, and to release more than a hundred tons of the brown coal. In May 2016, we joined thousands of people from all over Europe in the massive Ende Gelände event and the closing of the brown coal mine in Lusatia in Germany. We were protesting against the ongoing mining and against the planned sale of the Lusatia mines belonging to a Swedish company Vattenfall, Křetinský’s EPH. In June, we organized a cleaning action in Prague’s EPH headquarter, when we, with mops and brooms in our hands, tried to raise public awareness of the company’s dirty business and pressure the Swedish government not to sell the mines, but close them. Sadly, the Swedish government voted for the sell and the mines now belong to Křetinský’s business holding. The climate is changing, and where the petitions can’t go, it’s time for action instead of talk. We want to fight to end the coal era and stand against the coal mining industry, along with others all over the world. Join us. Limits are us.